7 day Sat-Sat bookings July 1-Sept 1 Sea Escape Cottages are clean, well kept, tastefully decorated cottages with a rolling lawn to the shore, a spectacular view of the sunset, and a night sky that sparkles with stars. 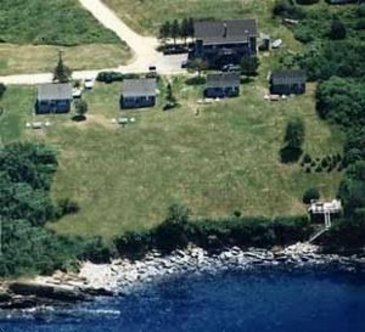 Cross three bridges to arrive on Bailey Island, a quiet island off the beaten path. The final bridge is the only one in the world. A honey-combed granite block bridge build without mortar so the tide can flow through it. Don't forget to get groceries and gas before you leave Brunswick. Cook lobster in your own kitchen, bring it in, or go to a nearby restaurant. Arrange a fishing charter or scenic cruise on the premises with Captain Les.